From the Publisher: The poems in Fancy Clapping come from the rhythms that pulse below the noise of our lives. Under the drone of traffic and empty talk, between the clanging echo of memory and the desperate roar of the moment, rings a stillness, a sound that is no sound. 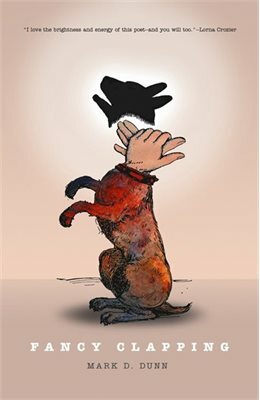 Comic and lyrical, the poems recognize what is hidden beneath distraction, the silence we cover with all that fancy clapping. The final book in the "Ghost Trilogy," _Even the Weapons_ is the adult of its siblings. "In this collection there are 'bees on the breath,' and a poem runs a red light on a Michigan highway. A reader can do nothing but go with it, ride that energy and exhilaration from the first page to the last. I love the brightness and energy of this poet -- and you will too." Lorna Crozier. "What is clear is that Dunn is playful but he isn't playing around. These are serious poems full of punch. Al Purdy would recognize the self taught voice in these poems and approve. "If his first two books are this good, and they are, number three will be something to see. 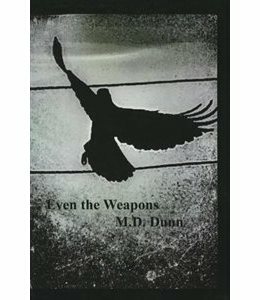 Mark D. Dunn has announced his presence on the Canadian Literary scene with authority." "In his second book of poetry, Ontario writer and musician Mark D. Dunn takes his readers on a mystical journey, pondering ancient and current questions about mortality, religion, violence, and love [...] exposing the difficult truths that lurk beneath the surface of our day to day lives. "Fancy Clapping is infused with Dunn's tremendous creative energy, making it a pleasure to read." Isabelle Johnson, Matrix Magazine, 96.